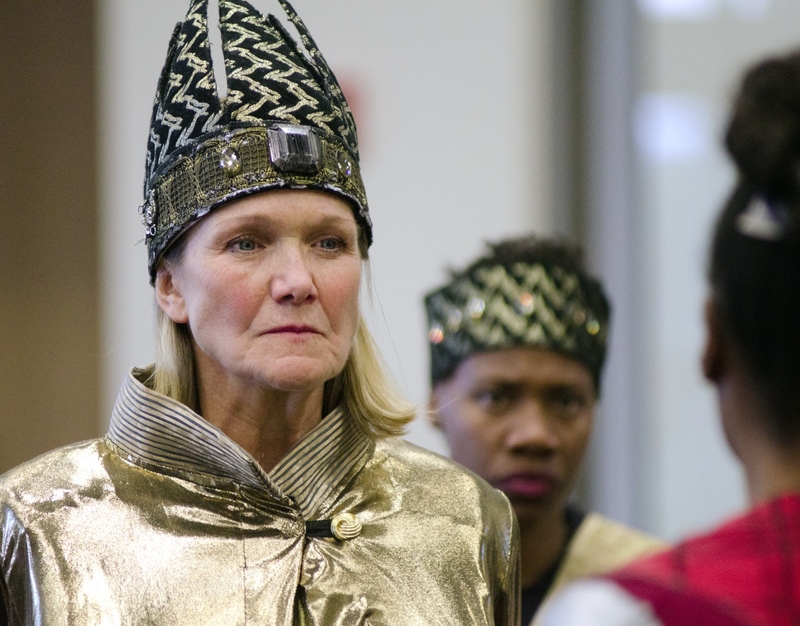 10,000 Things Theater is masterful at putting offbeat spins on classic plays.Their current staging of William Shakespeare’s Henry IV, Part One succeeds beautifully as a male-dominated play with a cast of women playing the parts. Though this History Play has a Part Two, it holds together as a complete work of entertainment by itself. In the story two young men, party animal Prince Hal (a magnetic Sha Cage) and the impetuous Hotspur (an equally magnetic Anna Sundberg), vie for the throne. 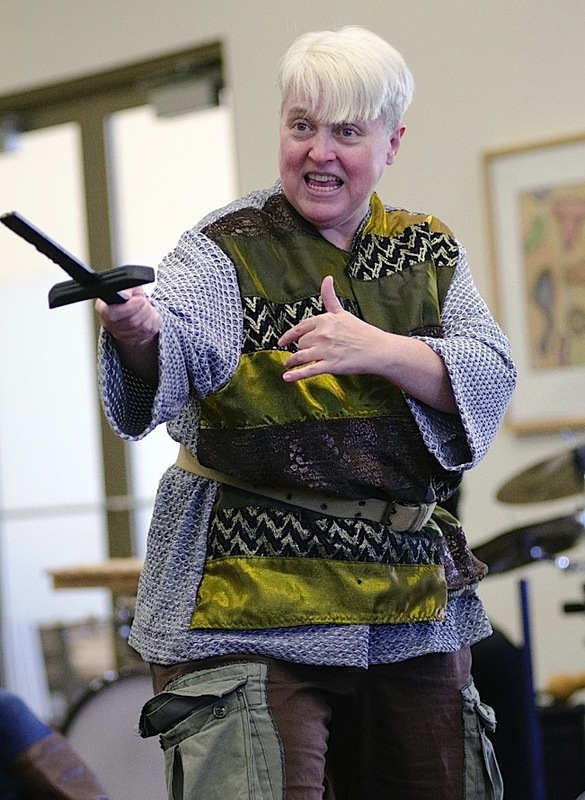 Hal is under the debauched influence of the much older Falstaff (a robust and hilarious Karen-Wiese Thompson). They each transition into new states of mind as the seriousness of the stakes for kingship unfold. Director Michelle Hensley not only makes the rather complex and detailed script well understood to the audience, but she has made sure each and every actress has probed the masculinity of their character. This is much easier said than done. Therefore, this Henry is one marvelous cross-gender achievement. Photo by Paula Keller . Karen Wiese-Thompson has delighted audiences for years for her memorable comic portrayals. She is currently playing a comedic role in the generally serious Henry IV, Part One for 10,000 Things. She is hilarious, yet also very much in the period and style of William Shakespeare. JT: What are some of the things you did to bring this classic male character to life? KWT: Honestly I just approached Falstaff the way I do any character – what is in me that identifies with the person I’m creating onstage and what is the text telling me about this person. It’s surprisingly freeing playing a man. You think about carriage and gait and stance and for me it was just about letting go of all the physicality you focus on as a woman. I don’t have to keep my chest out and my stomach in and I don’t have to work in heels or wear makeup. I try to work in my lower register but not so much as to draw attention to it or make it an affectation.